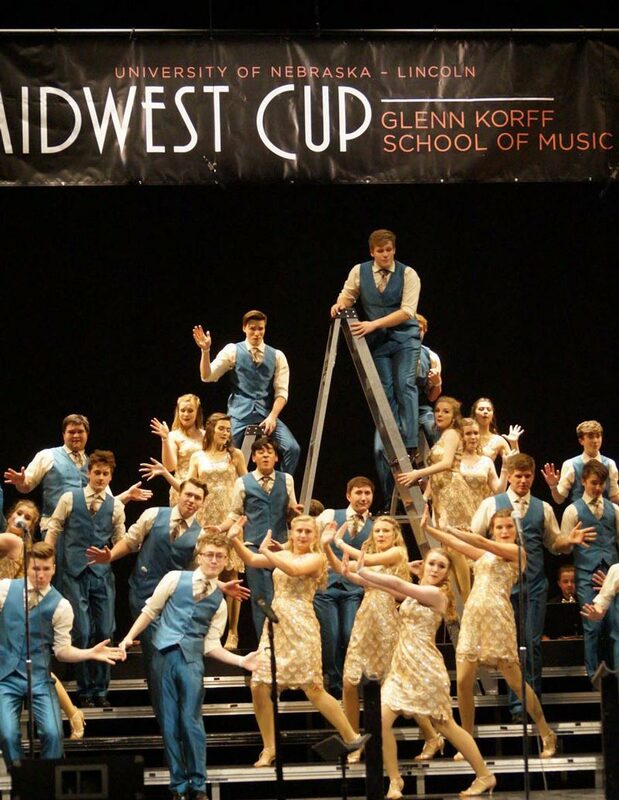 Millard West Show Choirs kicked off the season on Saturday, January 6th, at Midwest Cup in Lincoln, NE. The groups had the opportunity to perform at the incredible Lied Center for Performing Arts on the UNL campus, which was simply amazing! Swing Cats kicked off the morning, and Uptown Girls ended the morning session. Awards were DOUBLE EXCITING when Swing Cats won Grand Champion in the JV division and Uptown Girls won Grand Champion in the Unisex division! 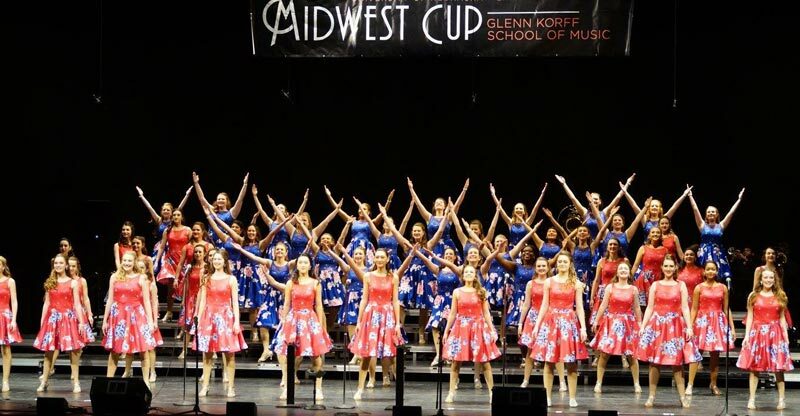 WIG’s energy was contagious in the afternoon performance, which earned them two caption awards, as well as a spot in the finals. The morning competitors were eligible to make finals, and Uptown Girls grabbed a spot in the evening finals also. 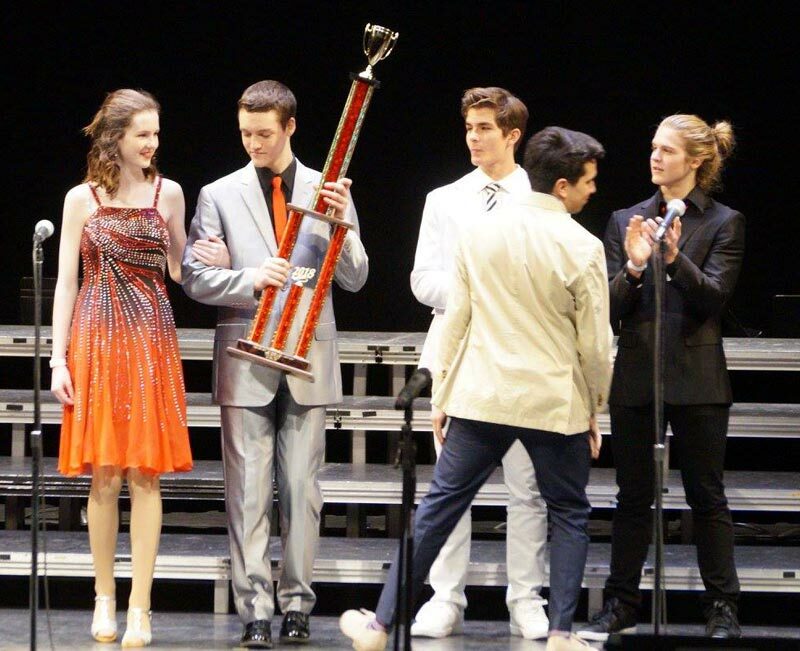 Best Band went to West in the Groove (The Groovehouse), and Sammy Cope won Best Female Soloist, earning herself a plaque and a scholarship to the UNL Show Choir Camp in June. Thanks to Sherrie Lombardo for the pictures from Saturday’s competition. Please remember to check out the MWHS Show Choir Family Facebook Group page for the latest pictures. Special thanks to all who have been so willing to share their pictures with everyone!